MoviePass is limiting the number of movies available to see through the service each day as it transitions to a new plan. 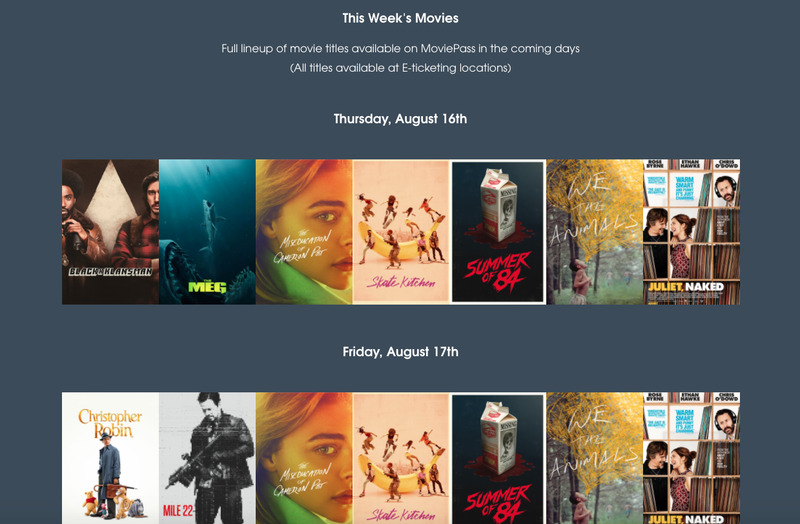 The schedule of each day’s movies is expected to be updated at least a week in advance on the MoviePass website. This week’s movie schedule is now available, though each day lists seven movies as opposed to six right now. MoviePass implemented a new plan on Wednesday to limit the number of movies that subscribers can see a month to three while rolling back many recent unpopular changes. But it doesn’t mean subscribers can see any movie they want on any given day. MoviePass began to send letters to customers on Thursday detailing the changes, but the gist is that the number of showtimes and movies available each day will be limited for the foreseeable future during the “transition” to the new plan. 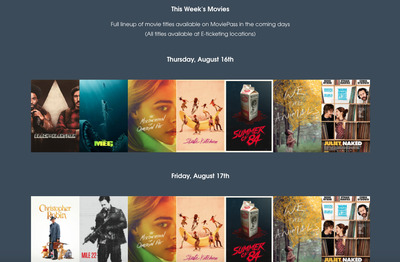 The movie schedule for each day will be available on the MoviePass website. After saying in late July that it would raise its monthly price to $US14.95 and restrict subscribers’ ability to see big movies in their first few weeks of release, MoviePass quickly walked back the announcement and introduced the new plan earlier this month. While subscribers will be able to see only three movies a month, the new plan will keep the monthly price at $US9.95 and eliminate surge pricing for popular films during in-demand showings. A representative for MoviePass told Business Insider that the movie schedule was “part of a larger move to go for increased transparency” and said to refer to the letter for further details. But MoviePass did not indicate it would “offer up to six films to choose from daily,” changing the number of movies and the titles themselves each day. This may confuse or disappoint those who stuck around expecting they would still be able to see any movie they wanted to. Many MoviePass subscribers have canceled the service only to be re-enrolled in the new plan, and this could be the last straw for some, depending on how long the limitation lasts. Read more of Business Insider’s MoviePass coverage here.